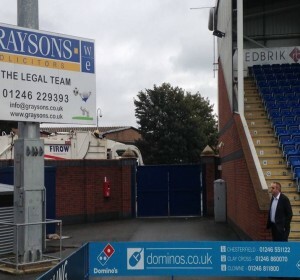 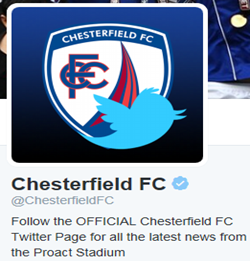 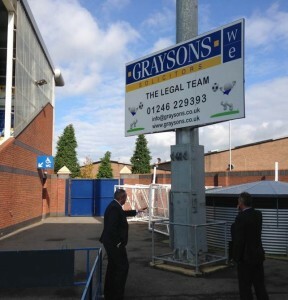 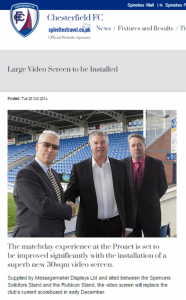 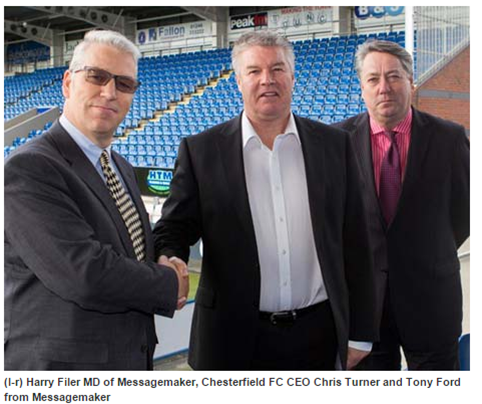 Former Sunderland and Manchester United goalkeeper Chris Turner, now CEO of Chesterfield Football Club signed the deal which was organised by Kevin Fitzgerald of Chesterfield. 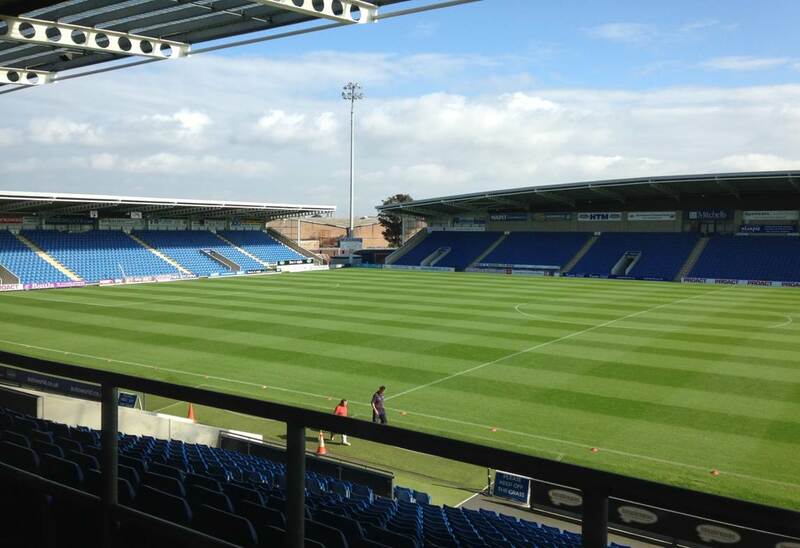 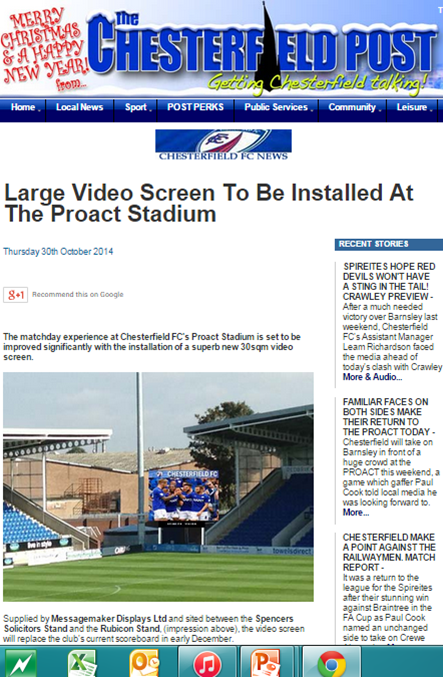 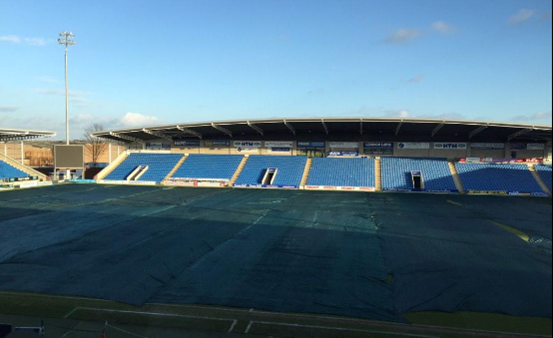 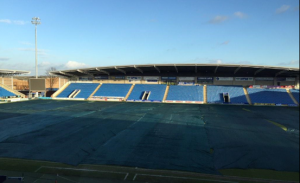 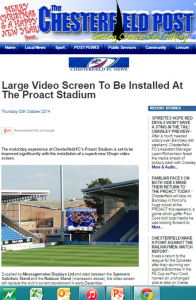 The North East Corner was selected as the best vantage point for the majority of the supporters – it is envisaged another screen in the opposite corner will be added next year. 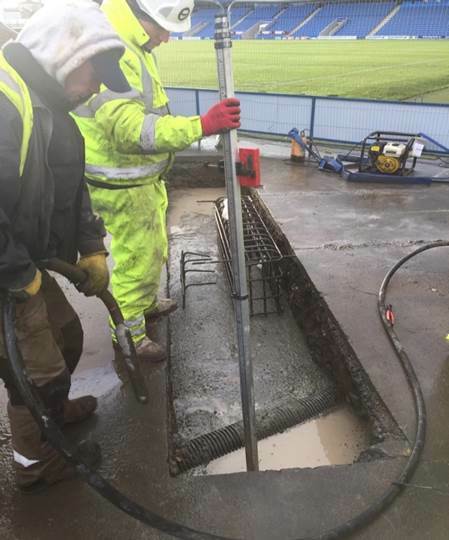 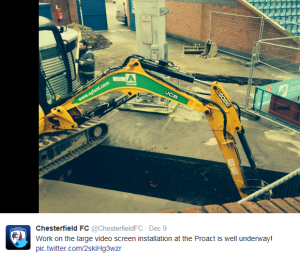 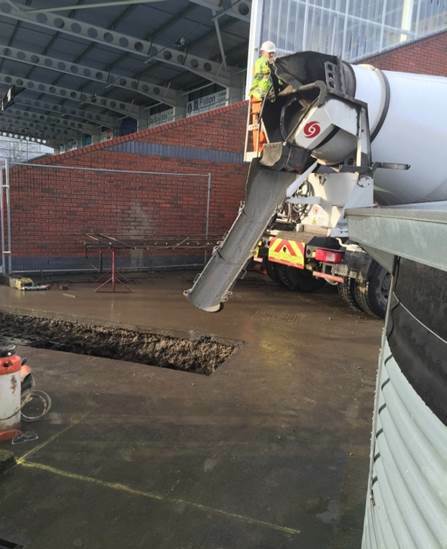 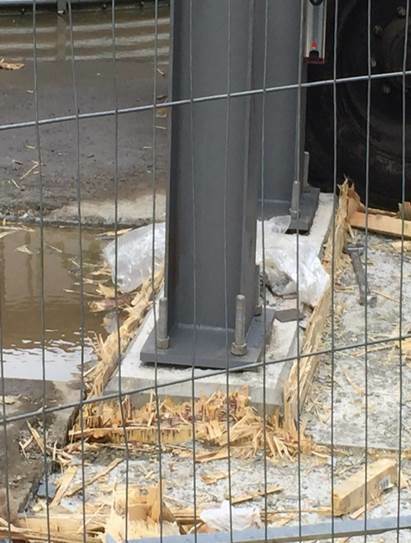 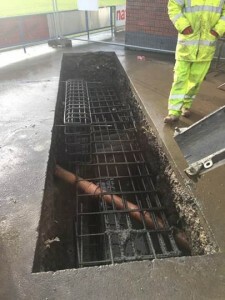 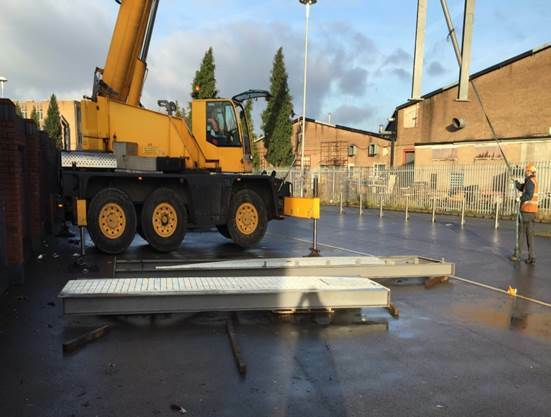 The groundworks took seven days to work round the recently new foundations for the floodlights and installed 2.5 tons of steelwork and another 2 tons of fast drying concrete. This job can take up to 2 weeks normally before the steel frame can be installed. Over 300m of fibre optic cable is installed under the stadium to connect the screen control centre to the big screen and cameras. 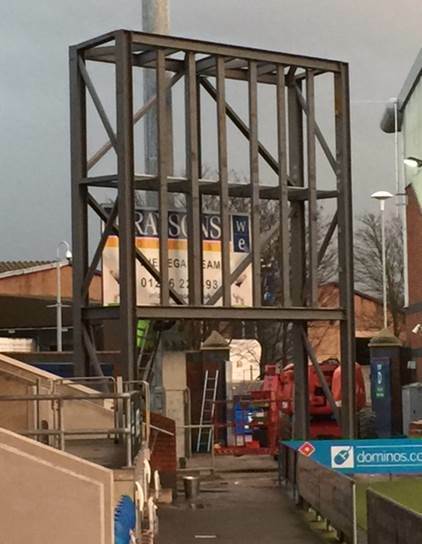 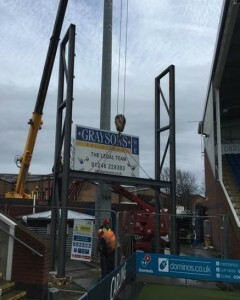 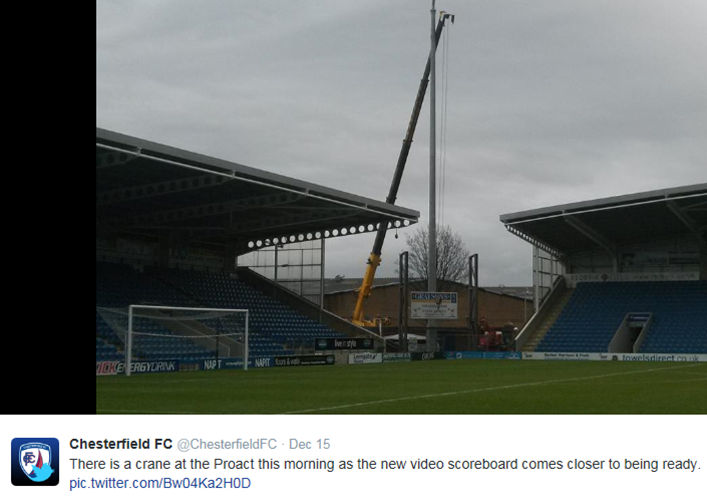 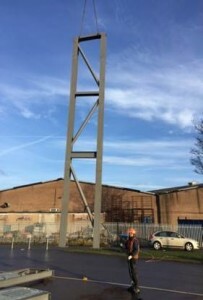 The frame was installed over 2 days and includes 2 working gantry’s at the rear for maintenance. 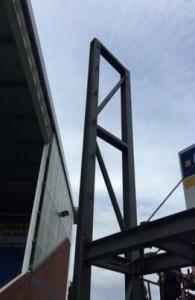 The frame supports a lightweight screen weighing just over 600 kg. 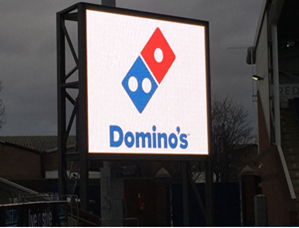 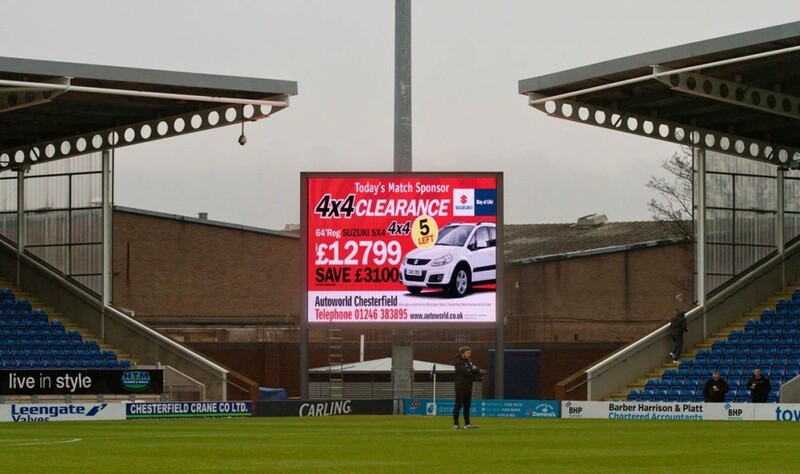 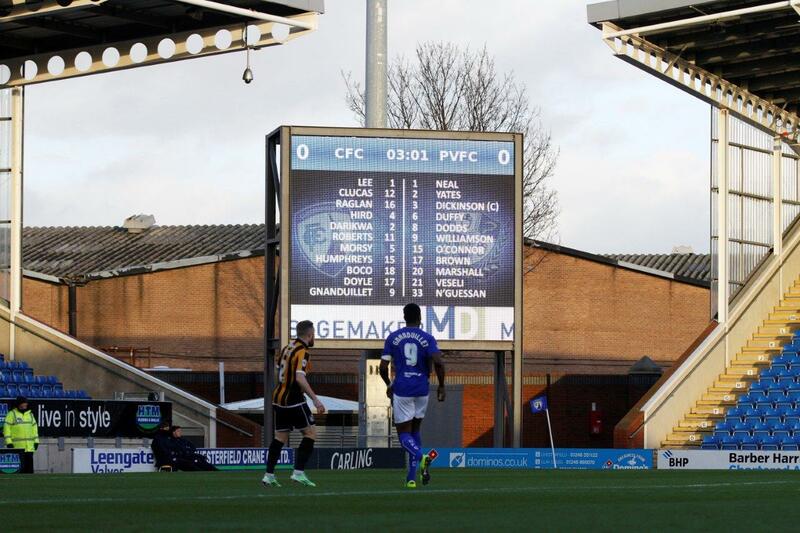 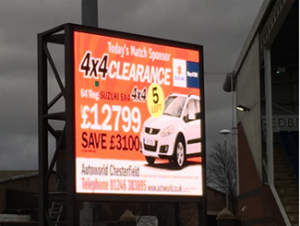 Read more about how big advertising screens can transform your business or contact sales@messagemaker.co.uk for more information.